Nothing, if we read those parts of the Bible that are written TO US [See “THE END Times” class to understand what is written to Christians] as Christians. Never in the Church Epistles are Christians told to tithe. Why? Because “tithing” was a part of the Mosaic Law for Israel, but Jesus Christ was the end of the Law for righteousness to all who believe in him as Lord (Rom. 10:4). What does God say to Christians about giving money or material possessions? By far the most concentrated section of Paul’s epistles devoted to that topic is 2 Corinthians 8 & 9. There we find that no specific amount whatsoever is prescribed. Rather, 9:7 says that each of us should give what we purpose in our heart, and that we should do so cheerfully, not grudgingly. God wants relationship, and He wants us to collaborate with Him in regard not only to how much we give, but also every other aspect of our lives. 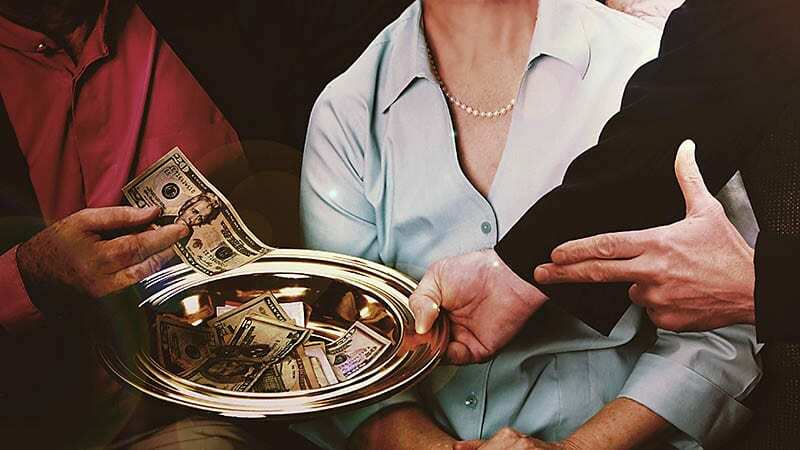 All attempts by ministers to get people to “tithe” are based upon verses like Malachi 3:8–10, but that is written to Israel, and even more specifically to her corrupt spiritual leaders. How you use your money is a very concrete way of determining the priorities of your life and how much you trust God. Maybe that is why there is so much in Scripture about how God wants us to relate to material things. Giving allows you to see how God will give to you (Luke 6:38; 2 Cor. 9:6–11).